I love listening to Avraham Infeld, because he is entertaining and wise. He is a patriarch of our Jewish community. His achievements are enormous: Hillel International, which he directed for ten years; Birthright of which he co-wrote the master plan and was its first director; and now Tikkun Olam Makers (TOM), a path to uniting the Jewish people by helping the world at large. His new book, A Passion for a People, surveys both our extended family’s past and offers a prescription for a dynamic future. 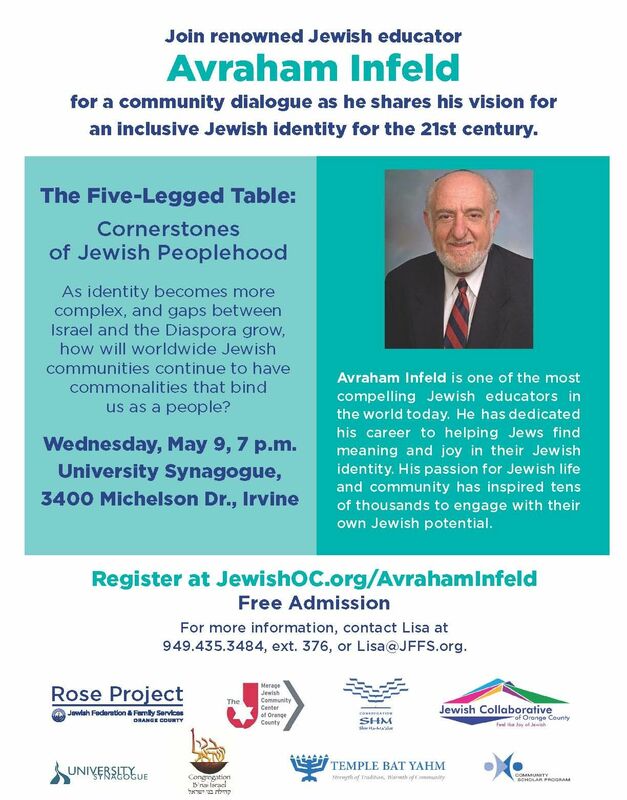 If you want to feel hopeful about what’s ahead for the Jewish people, come and listen to my teacher and friend, Avraham. CBI is underwriting an important conversation on the state of Jewish Peoplehood. 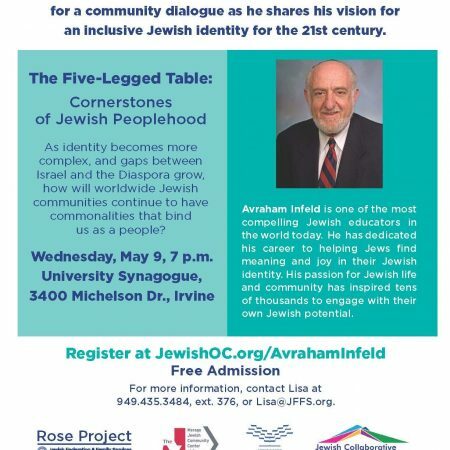 Join us for an inspiring evening as renowned Jewish educator Avraham Infeld discusses “The Five-Legged Table,” his vision for an inclusive, resilient Jewish identity for the 21st century. Free admission. Click here to register online.